New crowd pleaser Disaster! 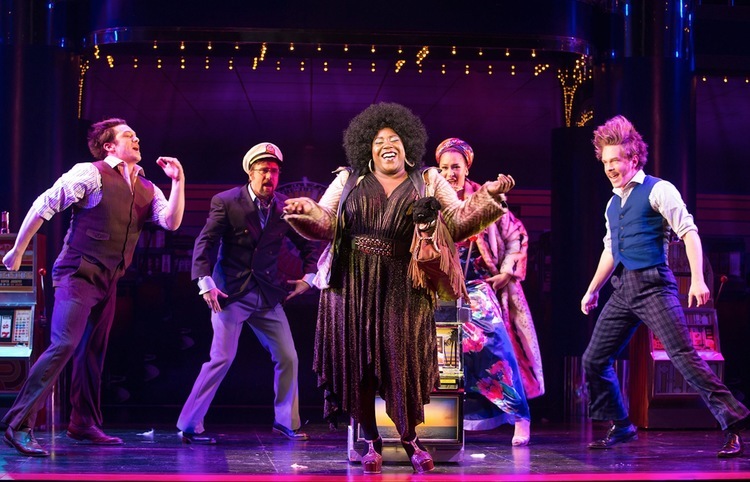 on Broadway is the very definition of a guilty pleasure – it’s trashy, garish and obvious but you dare not look away for a moment lest you miss the next camptastic sight gag, disco tune or costume change. Versatile, multi-talented Broadway mainstay Seth Rudetsky must keep Olivia Pope-style dossiers on Broadway idols. How else to explain the stellar lineup he has assembled for the premiere Broadway season of his off-Broadway spoof Disaster!. 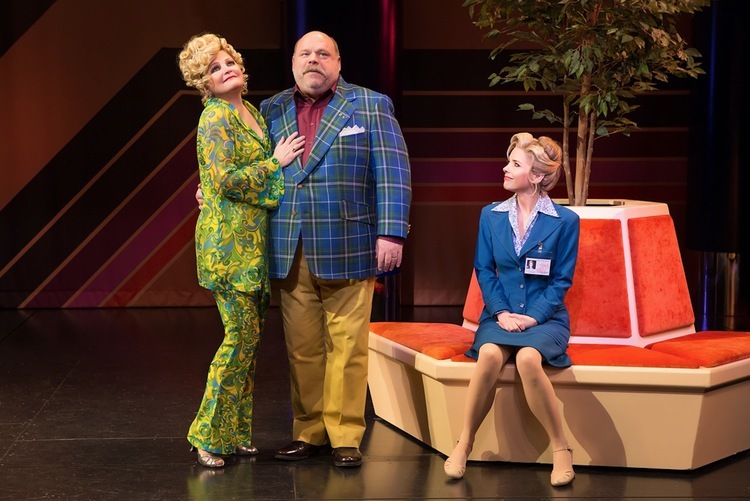 This madcap sendup of 1970s disaster flicks features a jukebox full of 1970s pop hits you thought you might never hear again and costume racks full of 1970s outfits you thought you might never see again. Co-written by Rudetsky and Jack Plotnick, the show features the kind of big cast of characters in trauma popularised by Irwin Allen. The fast pace and mixture of comedy styles help the show work, but the biggest asset is the cast, particularly their rock solid vocals. The show would not be anywhere near as funny and slick if the cast was as cheap and cheesy as the cavalcade of cheesy stunts and effects. 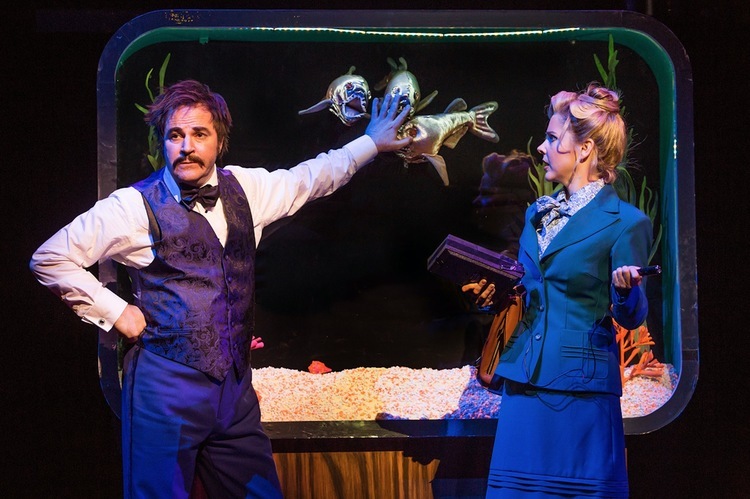 Roger Bart is the selfish owner of the floating casino Barracuda. 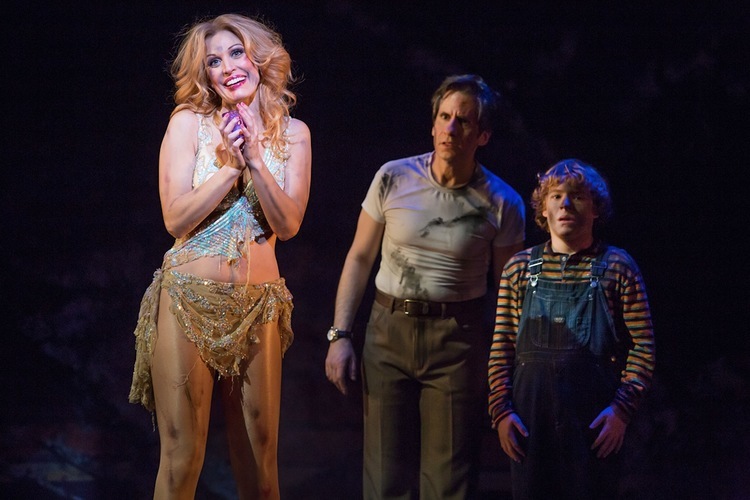 Kerry Butler plays a reporter who may or may not reunite with her great love, Adam Pascal. Kevin Chamberlin and the inimitable Faith Prince are a suburban couple seeking escapist fun. Rachel York sports a Farrah Fawcett wig as a vapid casino nightclub singer accompanied by her twins, both ingeniously played by Baylee Littrell. Towering above the achievements of these established stars is Jennifer Simard as Sister Mary Downy. A former gambler, Sister now seeks to save gamblers with her pamphlets and her meek rendition of the Sister Janet Mead “Our Father.” Simard’s deadpan delivery and physical comedy are hilarious, earning her roars of laughter for every line and every move. Rudetsky and Plotnick have not only scoured 1970s music catalogues for hits, but have also manipulated the dialogue and even character names so that the song excerpts fit in exactly with their original lyrics. A great deal of the fun is wondering which song is going to pop up next. It is difficult to pick highlights, but the sequence where Faith Prince leads a tap dance to send a message in Morse code is a real winner. Enhancing the visual hijinks is master costumier William Ivey Long, who shows no fear in re-visiting every hideous look the 1970s inflicted upon us. The chorus is well served, sporting new outfits practically every time they step on stage. Raquel Welch would have been proud to wear Rachel York’s ever-diminishing dress. Set aside good taste, musical snobbery and pre-judged notions, and sit back and enjoy Disaster! on Broadway. Disaster! 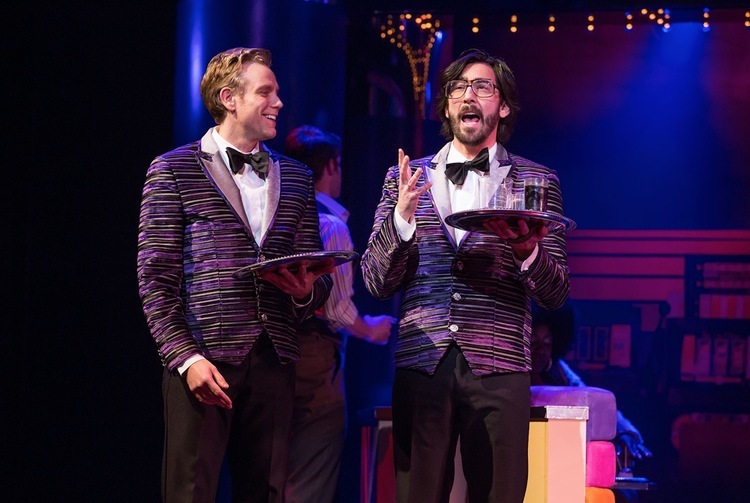 on Broadway was reviewed 7.30pm Sunday 3 April 2016 at Nederlander Theatre, New York. I am so thrilled you saw and reviewed this show. 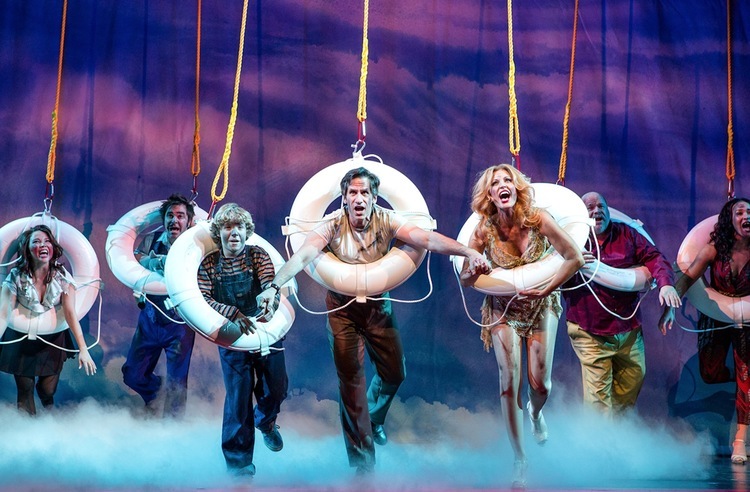 Disaster is one of the most hilarious in – joke ridden Broadway shows I have ever seen. If Jennifer Simard doesn’t earn a Tony nomination, I’m eating my treasured Playbill. Thanks Nick. I nearly didn’t see it but I’m so glad I did. The humor, fashions and music all totally appealed to me. Jennifer Simard is a goddess! Definitely expecting to see her in the Tony nominations. Hope you enjoyed your NY visit. Great to run into you on Broadway!